Backing the National Forest this popular Elk model cabin in Bison Ranch is move in ready! All furniture, dishes, pot & pans included. A split floor plan gives way to privacy and plenty of room for family or company. The aspen tongue and groove celling add warmth and appeal along with the rock covered fireplace in the living room. Enjoy the back covered deck which overlooks the forest and occasional views of the elk, deer and wild horses. Tennis and basket ball court, children's playground and a fish & release pond are a part of the Ranch. Nearby amenities include Bison Town with shopping, restaurant, and horse back riding. 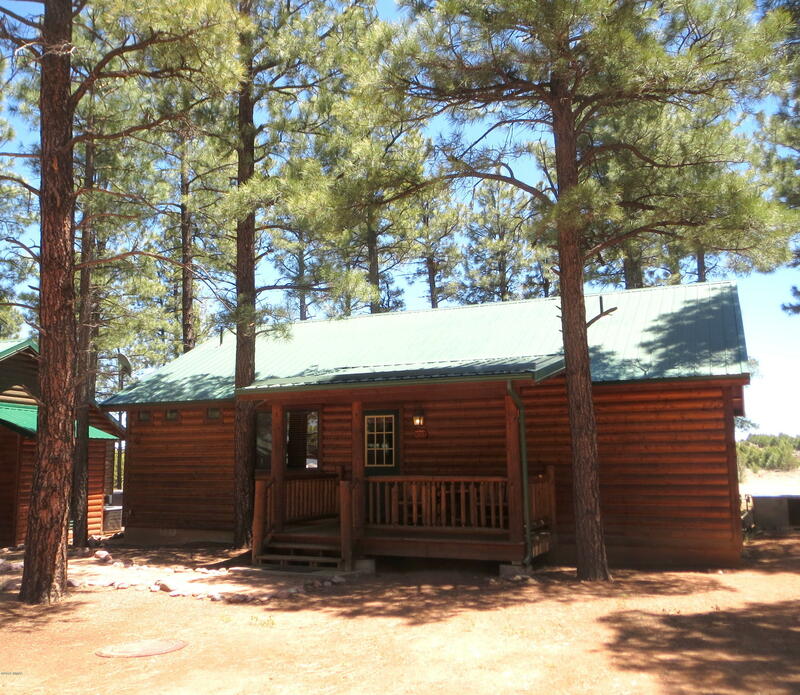 All near the National Forest for miles of hiking, ATV riding as well as horse back riding. Seller is a licensed active real estate broker in the state of Arizona.